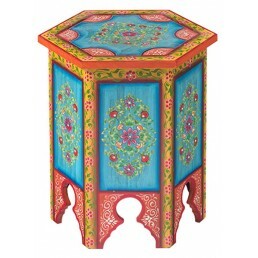 Bohemian hippie style for your home. 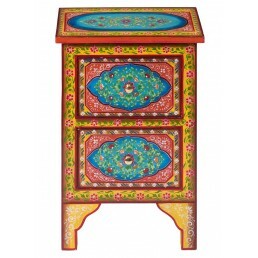 Amazingly beautiful finished and authentic hand painted Indian furniture featuring exquisite and exotic Eastern floral designs in typically Eastern Asian vibrant colours. The patterns have been inspired by the ancient cultures of the exotic land of Rajasthan where bright colours and designs help to raise the spirits and relax the mind. 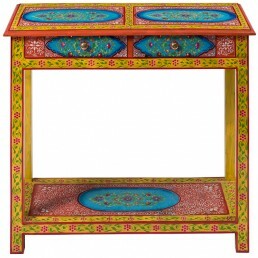 Hand-painted furniture made in India and traded fairly. 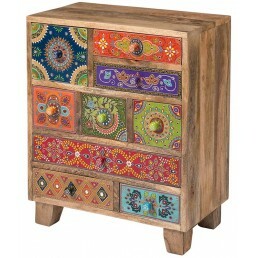 Built from solid, environmentally friendl..
SET OF TWO SAME SIZE Hand-painted furniture made in India and traded fairly. 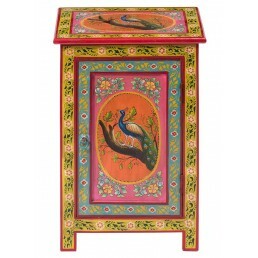 Built from solid..
Hand-painted one door cabinet made in India and traded fairly. Built from solid, environmentally ..
Hand-painted two drawer console table made in India and traded fairly. 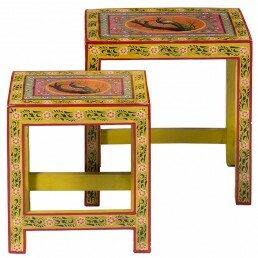 Built from solid, environm..
Hand-painted nest of two tables made in India and traded fairly. Built from solid, environmentall..